Camping, hiking, high altitude mountaineering, or simply having a backyard barbecue, the elements can sometimes have a way of starting up even the simplest of flames – such as a tiki torch – a gauntlet. 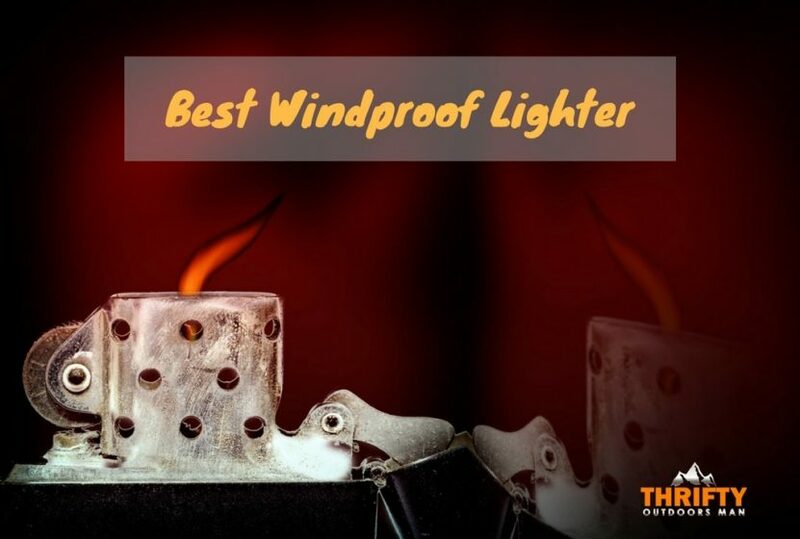 Instead of dealing with striking match after match or having no luck with dry grass and flint, make your life easier and consider a windproof lighter. There are many brands out with windproof lights, each of them having some unique features that separate the lighters from the competition. Because of this, it is recommended to do some comparative shopping to figure out which of these awesome windproof lighters is right for you. Consider this lighter a back-up lighter for emergency situations. It is an excellent tool for the camper, boater, hiker, or backpacker that needs to be prepared for whatever nature throws at them. The flame has been tested to withstand winds up to 80 mph. It design is also waterproof and will float! Sometimes you need to stick a lighter into places where a traditional design won't fit, or where a match is dangerous business. This USB rechargeable lighter with plasma beam technology is a safe way to light flat surfaces or other awkward handling positions. Windproof and splash proof, this lighter has been TSA-approved, making it great for world travelers. Though the design of these jumbo lighters is nothing special, and you might not want to bring all 4 with you in a backpack, these are a favorite among campers who want to start a fire fast. The single flame “gun” design makes the flame strength easily adjustable, and all the lighters can be refilled once they run dry. Since these use butane gas, the flame burns blue and is extremely hot. Because you don't need gas, a wick, and a flame, this electrical arc is quite resilient in wet and blustery conditions. Plus, when compared to a traditional single electrical arc design, the double arc is much more powerful. You won't have to worry about being unable to light your cigarette or candles now. The safety features are also great for campers with small children. Plus, if you want to impress people, it looks really cool. Some users report lighter fluid leaking out – always check to make sure you have tightened everything when replacing the flint and refilling the fuel. One of the best windproof lighters on the market is your run-of-the-mill Zippo lighter. Though the actual lighter itself uses a wick and fuel design, it is the unique construction of the wind barrier that allows for the flame to stay strong even during gusts. Zippo lighters also come with lifetime warranties from the manufacturer, so you know the lighter will be very durable. You have to be aware of which direction you are holding the arc. Rotate the object so that you don't burn your hand. The Tesla Coil arc lighter is a favorite among those who need a quick light for cigarettes, candles, and twigs. The USB rechargeable feature is convenient, and since these lighters are known to hold a charge for a long time, they make for excellent travel lighters. Once charged, it lasts up to 100-300 uses or 7 days. The ideal windproof lighter gets a fire started whenever you need it. Whether that “fire” is lighting the tip of a cigar at the end of a long climb or starting a fire in the middle of a blizzard, having a reliable, windproof lighter can be the fulcrum in the balancing game of life and death. Just keep in mind that no lighter is absolutely 100% windproof. All these lighters can still be snuffed out in intense winds. Electric plasma – The ideal choice for cigarette smokers. A small arc of electric heat is created instead of a flame, so these work well in high winds. Jet flame – Cigar or pipe smokers. These have larger flames that ignite larger portions. Double flame torch – For lighting charcoal grills or starting fires. These usually have caps to protect the flame element when not in use. Zippo design -- The windscreen is unique, because while it is a traditional lighter, air moves through the screen, allowing the flame to move and resist winds very well. 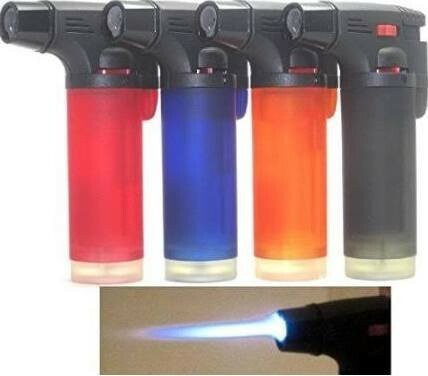 The standard windproof jet flame can be refilled with the pressurized bottle of butane. However, if a problem occurs with the electric ignition, you will have to discard and replace them. The average arc flame has USB charging capabilities that can last up to 200 uses before needing a recharge. Keep in mind that these will lose their charge overtime. Also, the lighting nodes have to be kept clean. If dirty, it creates a fire hazard. Keep this in mind when deciding which lighter is right for you. Now that you know the top windproof lighters for camping, trekking, and other outdoor activities, you can select the one that is best for you! Remember, all lighters are affordable and environmentally friendly, so all of them are excellent options. Which one will you choose?